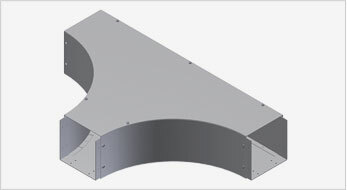 The 652 Series Snake Race Way is designed to protect and house runs of control and power cables. 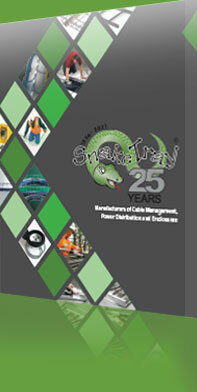 Snake Race Way is used for cable and wire junction, distribution and termination where complete containment is required. The open design on one side allows for cables to be laid in safely along the entire run without pulling. 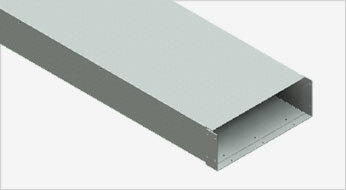 A variety of lengths and fittings are available to accommodate many design requirements. All directional fittings are completed with factory built modules that maintain a wide 12″ curved radius sweep minimizing any non-compliant bend radius for all types of cables.